Apple’s 2016 MacBook Pro has divided opinion amongst press, fans and users alike and a lot of that is down to the new keyboard the notebook uses. Apple’s second generation butterfly keys are the centerpiece of its notebooks, and they have been designed so that they can offer as nice a feel as possible without having as much travel as traditional notebook keys would. The first generation of the same keyboard first debuted in the 12-inch MacBook, and received similarly mixed – mostly negative – reviews. Now it would seem that the MacBook Pro’s keyboard is not only unliked by many using it, but it is also susceptible to failure in a variety of ways. 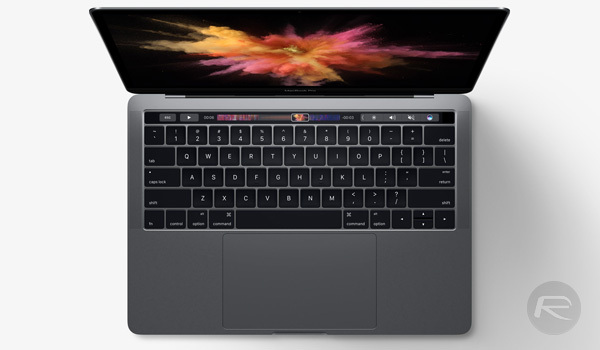 A number of users have reported that their 2016 MacBook Pro computers have keyboards that are faulty. Some complain that their keys simply refuse to work, while others have keys with a non-uniform feel. That alone is something that those who type for a living simply cannot abide. It could be worse though, with some users even reporting that the keyboard on their MacBook Pro makes a high pitched sound. On that last one, we find it difficult to believe it is the keyboard at fault rather than something in the machine beneath it, but we’re ready to be proven wrong there. A YouTube video that demonstrated the phenomenon had the following to say. Within a few hours of using my Late 2016 MacBook Pro 15″ with Touch Bar, I noticed some of my keys made a very high pitched click on-key-up (when I lifted my finger from the pressed down key). The affected keys: Caps Lock, left Option, and very occasionally: Delete, ‘H’, and ‘C’. may already be some way to doing just that. That does not sound great at all, so let’s hope that Apple can get around to sorting out whatever is going on here not just for those impacted currently, but to also ensure that the issues are resolved before too many others experience the same problems. I hate keyboards that squeal. Video showed caps lock key, which switches capitals letters on and and off. It works, it supposed to work that way!